He received his Bachelors Degree in Behavioral Science from Utah Valley University. He received his Doctorate in Podiatric medicine from Barry University in Miami, Florida. 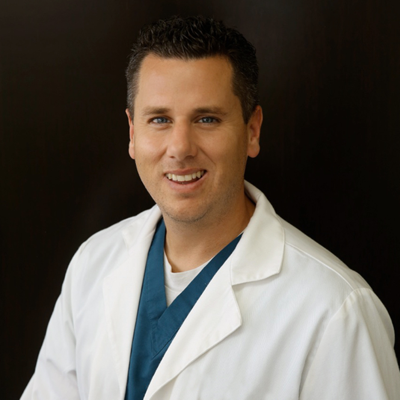 His post-graduate education continued with a 3-year surgical residency at Fountain Valley Regional Hospital, where he performed over 1,000 surgeries with exposure to the most current techniques and education. He participated in advanced wound care techniques working at the hospital’s wound care center. He volunteered at numerous nursing and senior homes treating the residents ,as well as, the Special olympics in Fountain Valley. Dr. Recalde is proficient is Spanish, Italian, and even a little French. He enjoys playing soccer where he played in college and won the NIRSA national championship. He is happily married with 1 daughter and 3 boys and enjoys spending any free time he has with them. He is also a self-proclaimed foodie and enjoys new foods.